The SWEDIA® Dante single bowl kitchen sink is a compact professional grade sink - perfect for small kitchens, butler's pantries and outdoor kitchens. This single bowl sink can be top-mounted (inserted) or under-mounted making it the most versatile choice. 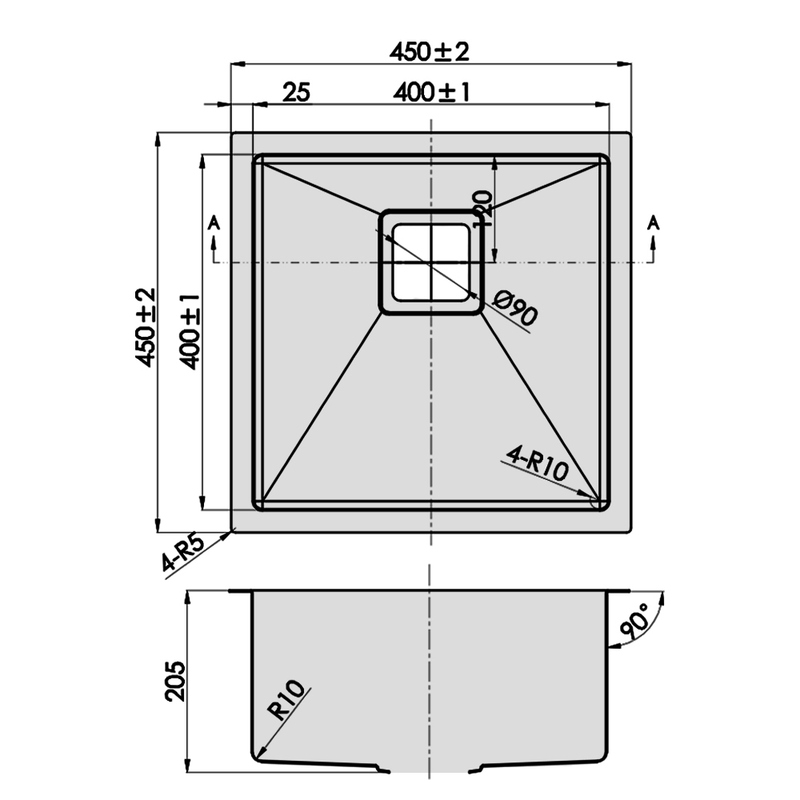 The Dante Range boasts a perfect square construction that is only available in hand-made sinks like this. 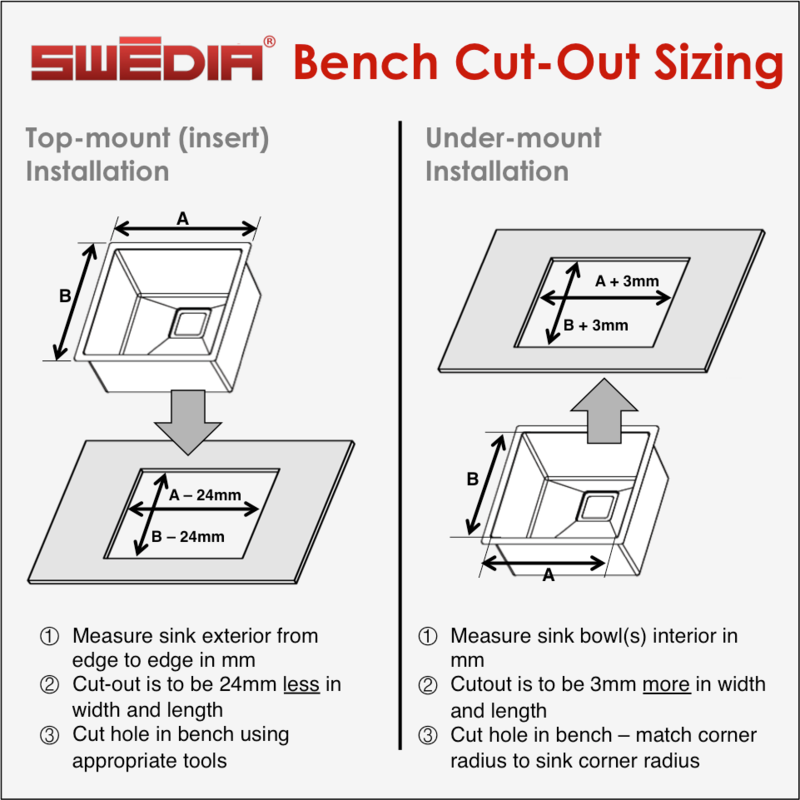 This SWEDIA® Kitchen Sink can be top-mounted (insert) or under-mounted. All instructions and fixing are included for each method.